Get ready for Paradise! This 3bd/2ba unit sleeps 6 and truly has an unbeatable view. 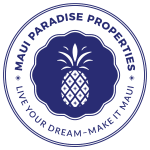 Located in Maalaea, you'll be right by Haycraft Beach Park, the harbor, restaurants, shops, the aquatic center, mini golf, and so much more! You're also in the perfect location to check out other popular areas of the island, like Lahaina, Kihei, and Kahului. Feel like staying in for some much-needed R&R? This complex features a relaxing pool and hot tub, and the unit itself has all the comforts of home. We provide wifi, cable, washer/dryer, and AC, as well as a well-stocked kitchen, so you can enjoy some home-cooked meals or delicious mixed drinks during your stay. Make sure to take advantage of the spacious lanai, boasting views of the gorgeous blue water and a few neighboring islands. You're in a prime spot to enjoy Maui's infamous sunsets! You can also head down the street (0.2 miles) to the expansive sandy beach that's perfect for long walks, morning or evening. We'll provide the cooler, towels, and chairs, so you'll be all set to soak up some sun. You may even see some sea turtles or whales! This unit has one bedroom downstairs and two bedrooms upstairs, one of which is in the lofted attic area with a slanted roof (as pictured). It's perfect for families with children or couples vacationing together. There are portable AC units in the living room and attic bedroom, and ceiling fans in the the other two bedrooms and living room. There are also screen and slatted windows for you to enjoy the trade winds that are very constant and welcomed on this part of the island. There are no resort or parking fees for this complex! You're free to relax on your vacation without worrying about hidden fees. Are you ready for your trip to paradise?